This paper is mainly on the relationship between knowledge of the HSBC customers and HSBC service. I have carried out my three month internship on HSBC customer services. To be more specific, I was in charge of the ATM Cards, PINs, Credit Cards, Bonds delivery but obviously under the supervision of the respective officers. I was in charge of other tasks as well but I have focused to write the paper on topics explained below. In this short period of time I came across several interesting cases which fascinated me to write my paper on these cases. Hence, this paper basically comprises of few case studies with groups of customers who fall under respective categories fill out questionnaires. The cases are of course interrelated and will eventually show the relationship between customer satisfaction with their level of knowledge about what is to be served or what they should expect to be served. This paper with the case studies depicting different scenarios will have graphs, tables, and charts in order to provide the reader with ease of understanding. The conclusion will be based on data, correlation, regression, and other outputs. A customer receives an envelope that has been mailed to him/her from HSBC which has the ATM Card and few papers with instructions. He/She comes to the bank with the invoice slip which he/she finds in the envelope in order to collect the ATM PIN. But he/she did not read the invoice where it has been mentioned that the PIN will remain with the bank for 1 month since the date that has been mentioned in the paper. After this one month, the PIN will be destroyed. Unfortunately, he/she comes after one month and finds out that the PIN has been destroyed. Now, he/she has to issue a request for duplicate PIN for which the bank charges TK 115 and I make him fill out my questionnaire on customer survey. Another customer receives an envelope that has been mailed to him/her from HSBC which has the ATM Card and few papers with instructions. This customer reads all the instructions and has been well informed. He/she sees that by the time he/she came to the bank, 1 month has already past since the date mentioned in the invoice (the issue date of the PIN). He/she asks what needs to be done next in order to receive his PIN. I give him/her a form to fill for a duplicate PIN which would charge TK 115. With that form I give him/her my questionnaire on customer survey as well. CASE 1A customer calls up and complains that he/she did not receive the ATM replacement card. I noted down his/her account number and put him on hold and went to a customer service officer and asked him to check the HSBC’s computer information system for the instruction which the customer filled out, in shorter words, check the system whether the customer asked the card to be mailed to his/her corresponding address on the replacement card form or if he/she would collect it from the bank (these instructions are updated in the system the bank uses). I find out that the instruction was written that the card was supposed to be collected from the bank and thus, the replacement card was with us. I asked for some of his/her time and verbally asked questions from my customer survey questionnaire and filled out the answers he/she gave me. What do you think about reading the instructions provided by the bank? How frequent do you go to HSBC? How would you rate customer service of HSBC on a scale of 1 to 5? What is(are) the type(s) of your account(s) with HSBC? What is the average amount of Bangladeshi Taka you maintain in your account(s)? How many times do you use your ATM card? To what extent do you have problems with the location of the ATM machines? To what extent do you have problems with the number of the ATM machines? How often are you annoyed with the ATM machine services? If yes, how many times do you use your Credit card? How often are you annoyed with the customer service employees at HSBC? Table 2. Age Distribution of the Customers Majority of the customers I surveyed fell in the age group of 29 to 38 years. Next were from 19 to 28 years old, the rest being insignificant. This can portray many things of which is younger customers tend to bank more than the elder ones. Table 3. Frequency Distribution of the Marital Status There isn’t much difference between the numbers of married customers and unmarried ones. This can be explained as the trend that people tend to get married at a much later age in the recent times. Table 4. Distribution of Profession of the Customers As we can see that majority of the customers fall under the category of employees and businessmen compared to the unemployed category (students and housewives). This makes sense as it is evident that banking is more important for those who are engaged in the daily transactions more. Table 5. Education Level of the Customers The difference is not worth while though, but it should be mentioned that in Bangladesh HSBC, the trend is that the customers are seen to have undergraduate degrees compared to postgraduate degrees. This also confirms that none of the customers I surveyed are illiterate or educated of below standards. Majority of the customers stay in Gulshan and Banani. This can be explained as such that the survey was conducted in the Gulshan Branch of HSBC. Since, most of the customers of that branch come from that area; it is evident that this will be the result. I thought the number of years a customer banks in HSBC might reveal or relate with a lot of the other variables in the questionnaire. It is seen that majority of the customers have been banking with HSBC for 1-3 years and the next in the table is 4 to 6 years. It is same amount of customers less than one year and from 7-9 years. There can be several explanations for this. This is another important component for the base of customer knowledge. It can be assumed that if customers have accounts with other banks, they are likely to be well informed about the current services available in the market at their due prices with benefits. Customers who maintain accounts with other banks mostly bank with SCB. The rest insignificant ones bank with BRAC and DBBL. This shows a rising trend of the Bangladeshi investors and borrowers to invest and save in multinational banks. This can result due to the vulnerable political commotion in the country, social prestige, etc. This can also pose a fierce competition amongst the two big giants. Majority of the customers interviewed agree that it is moderately important to read instructions provided by the bank. Then comes the ‘Not Sure’. But a healthy portion of the customers also claims that they feel it’s moderately less important to read the instructions and they can almost do without reading them! This attitude can be explained by the poor reading habits of the Bengalis. Much of the education system is to be blamed for this. The typical Bengali Medium education system discourages reading and unfortunately encourages memorizing. This highly dampens the spirit of creativity and results as such. I put this question in order to verify if the customers comply with their answers in the question 10. And it worked just as I predicted. Majority of the customers don’t read instructions that often. During my internship term, I found plenty of customers who ran to the bank without properly reading the instructions and later on complained if we told them that for the service they wanted, they had to go elsewhere. This dissatisfaction would not have been as much if the instructions were read. Many companies pay their salary through banks. HSBC also has the option and name the accounts as employee accounts. When the employee changes the job, she/he can just change the address and maintain the same account with HSBC. Around 40% of the customers I surveyed were employee accounts. I asked the customers how frequently they visited the bank. Most of them regularly visit the bank in a monthly basis. This indicates that they come into contact with the services frequently. This question directly asks how the customers would rate HSBC’s services. Maximum customers agreed that they think the service of HSBC is good. Although there are a significant number of customers saying that they are not sure and think the service is neither good nor bad. The type of account most popular in HSBC is Local currency savings account. Next, nearly one third of the Local currency savings account is the current account (both local and foreign currency ones). Company account also accounts in this table but it grabs only a small part of the pie. This question is very crucial as well in determining which customers are more satisfied. I kept this question in order to find relation with other variables and draw conclusions. It can been seen that around 90% of the customers surveyed keeps from BDT 5001.00 to over 200,000.00 on an average. Only 10 percent maintains from BDT 1000.00 to 5000.00. Table 17. ATM Card Used by the Customers Almost 97% of the customers maintain ATM Card with HSBC. This can tell a little bit about the recent trend towards Bangladeshi Fast Life. The movement towards modern living leads to use ATM Cards and move away from traditional banking. The faster the country will adopt the fruits of modernization the faster the standard of living will increase leading to a rapid economic growth. Only querying about the ATM card if used or not really does not give much of a meaning. It is up to the frequency of the card used that will help open the window and give meaning to it. From this question I can be seen that almost all the customers use the card o a weekly basis. This can reflect that a huge portion of the services consumed by the customers fall under ATM. Faults in the machines can be a part of the dissatisfaction amongst the consumers. Majority answers that they do not face problems regarding the location of ATMs. This can also be explained numerously. There can be some errors, since I collected data from only Gulshan Branch and disregarded customers from other six branches/locations. Customers who come to Gulshan branch may be content with the location since they travel in Gulshan and Banani area for their work, and there are ATMs in both Gulshan and Banani. On the other hand, those who work in Mirpur can face severe problems due to lack of a single ATM in Mirpur area. Right after the 43.3% saying not that much problem is faced, 26.7% says they have a healthy amount of problem. Table 20. Extent to Which There is Problem With Number of ATMs This question is different from the previous one in the dimension that the problem faced in this one is regarding the number of ATMs. Compared to the response of the previous question, customers are more satisfied with the number of ATMs. This can also be addressed with the similar error faced before (customer base is limited in the sense that only Gulshan Branch customers were surveyed). Table 21. Customers Rating HSBC Employees in Terms of Knowledge of the Subject Matter This is a vital criterion in determining customer satisfaction level. This points out what customers think about the HSBC employees’ knowledge level about the subject matter they deal with. Customers rated this very generously. Almost all agreed strongly that the employees are well qualified for the job they do. Table 22. Patience of HSBC Customer Service (CS) Employees Patience is another important dynamics of customer services. With customers, it is extremely pivotal to deal with patience. Customers have also been very generous while rating patience of the employees serving them. No one rated the customer service employees otherwise. During my internship, I encountered numerous cases where I was pushed to the limit! But tried to calm myself and worked with patience. And later on, some customers did come and apologize later. This in turn enhances the image of the organization. Oral communication skill determines a lot about the customer satisfaction level since verbal medium is used to present. An organization can be perfect but if it employs people who can not properly verse with the customers, may God help the organization! In HSBC, customers rated oral communication skills of the customer service employees very well. But it has still scope to perfect this trait. Affability is an essential part of dealing with customers from a wide group of people. People coming from different background reacts differently. But universally it is found that it is hard to behave bad with a friendly person or a cheerful one. This key point is very positive as well amongst the customers when asked to rate. Compared to previous dimensions, situation adaptability is scrutinized heavily. Although majority of the customers filled up that the trait is very strong amongst the customer service employees, but there is a small percentage saying there is a scope for poor situation adaptability. During my internship period, there was customer whose ATM card was mailed from Singapore. I tore his Envelope in order to get a copy of his received acknowledgement, but I did not do that in front of him. Later when I gave him the acknowledgement to sign, he was furious and was shouting at the top of his lungs. I was so embarrassed that I did not know what to do. I was poor in adapting the situation in that case. Although majority of the customers voted for better performance of the HSBC customer service employees, but few cases show that there is a room for improvement for the employees in terms of punctuality. With fast paced lifestyle, time is a priceless commodity whose value is appreciating in a daily basis. Hence, care should be taken when it comes to killing customer’s time. A space for improvement is also in this trait – interest shown by the customer service employees for customer queries. It is an essential role determining customer satisfaction. Customers will not feel safe in their transactions and neither would they want to bank somewhere where they do not feel wanted. Hence, measures should be taken in order to make the customers feel that they are important. The employees are interested in helping their queries. In every service it is extremely important to perform the right service at the first time. This can be explained through many dimensions. To begin with, performing the service right the first time eliminates the chance of making errors the first time. Customers are not irritated. Secondly, it is less time consuming. Less time is needed to spend after each customer. One of the major tasks of the customer service employees is to sell their products. HSBC is none the less different in this case. It is seen that majority customers are confused about this trait. This leaves a room for improvement. The service employees can sell their products once they inform the customers. This can benefit all the three parties engaged in the business (customers, employees, and the organization). Customers may get a better deal out of the new products, employees performance can be appraised better for increments &/or promotions, lastly but not the least HSBC can widen its customer base and sell more products by keeping the customers informed. After quite some time the customers have rated the customer service employees very modestly in terms of willingness to help the customers. This trait talks a lot about the employees. To start with, they must be in a healthy environment. Next, it can be told that the organization is customer sensitive for which it maintains an employee base with willingness to attend customers. Right after the question of willingness to help, I placed this question to find out if there are any discrepancies. Customers rated very well in the previous question regarding willingness, but here, although majority agrees that the employees are not too busy to respond to their queries, there are significant cases where customers moderately disagrees to the statement. This can be explained as such that the branch is over crowded and may be more employees are required to attend the customers. Customers agree gaily that customer service employees are consistently courteous with the customers. This is a key factor in determining the satisfaction level of the customers. They would not like to deal with CS employees who are obstinate. We judge people through their appearances even though we don’t intend to at times. Neatness is an extremely important psychological factor in determining customer satisfaction. I saw that HSBC has uniforms for both the male and female employees. There is no written rule as to how neat & clean the employees should be, but in my term, I found the employees to be neat on average and so did most of the customers I surveyed. Since ATM covers a big portion of the services offered by HSBC, dissatisfaction in the machines poses a big threat to the image of the bank. Customers when asked how annoyed they are with ATM services answers ‘Not that much’ as majority. But significant amount also answers that they are annoyed with the machine. I also faced almost regular cases regarding ATM failures. One of the things the customer gets annoyed is the few seconds the machine waits for the PIN after which it retains the card. The customers have to wait at least for a day to get back their cards. Only 23% of the customer I surveyed uses credit cards. 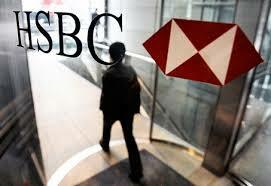 HSBC has affiliation with Prime Bank when it comes to credit card. Figure 36 depicts that most of the people who use credit cards uses it very little, like once a year. This can be explained with the limited usage of credit cards in the country. But much to modernization, a change in the pattern is seen to have followed until very recently. a 14 cells (93.3%) have expected count less than 5. The minimum expected count is .40. Introduction: Regression analysis is a modeling technique that identifies, quantifies, and describes the relationship between at least two variables, which depend on one another because of an underlying theoretical reason. In a multiple regressions, we have several independent variables, which are used to predict the dependent variable. Statement of the Hypothesis: It is hypothesized that the level of customer satisfaction about the services provided by HSBC is positively related with the level of being informed about its service package of the customers. In particular, the customers who are more informed about the services tend to be more satisfied than those who are less informed. In addition, it is also hypothesized that the employed customers (who are working in any organization) are more satisfied than the unemployed customers (students, housewife etc.). The dependant variable of this model is CSI (Customer Satisfaction Index) and the independent variables are CII (Customer Informed Index) and customer’s employment condition, a dummy variable. CSI index (Customer Satisfaction index) includes 8 dimensions of customer’s satisfactions. The independent variable CII (Customer Informed Index) is measured by using 3 critical factors that strongly indicates customers’ degree of being informed of the services provided by HSBC. This model also includes a dummy variable as another independent variable in order to test the relation whether customer’s employment status has any relation. Usually, a dummy variable is a numerical variable used in regression analysis to represent subgroups of the sample in your study. In research design, a dummy variable is often used to distinguish different treatment groups. Dummy variables are useful because they enable to use a single regression equation to represent multiple groups. This means that we don’t need to write out separate equation models for each subgroup. The dummy variables act like ‘switches’ that turn various parameters on and off in an equation. Here, a 0, 1 dummy variable is used where the variable takes the value 1 for employed customer and it takes the value 0 for unemployed customers. However, It is expected CII is positively related with CSI and dummy variable is also expected to be positively related with CSI. More importantly, it is assumed that this two independent variable is expected to be linearly related with the dependent variable, CRI. The population multiple regression equation is as follows: Y= b0 +b1X1 +b2X2 + e Here, Y = CSI Index b0 = intercept of the regression line. b1 = coefficient of independent variable X1 (CII) b2 = coefficient of independent variable X2 (Dummy Variable) X1 = CII. X2 = Dummy variable; takes the value 1 for employed customer and it takes the value 0 for unemployed customers. e = Random error with the mean 0. There is no set of nonzero constant Co, C1, …..,Ck such that, C0+C1X1+………..+CkXk = 0. So, X1,……………XK are linearly independent. The regression equation is Y = 331 + 0.234 X1 – 11.5 X2 β0 = 331 β0 is the intercept of the regression line. Here, b0 =331 means if all the independent variable takes the value zero, on an average, the CSI (Customer Satisfaction Index) will be 331. β1’s estimate b1 =0.234 Other things remaining the same, if the CII (Customer Informed Index) increases by 1, on an average, the CSI (Customer Satisfaction Index) will go up by an additional 0.234. Β2’s estimate b5 = -11.5 Other things remaining the same, for employed Customer CSI (Customer Satisfaction Index) is 11.5 lower than unemployed customers. It basically indicates that on an average the less satisfied with the services than the unemployed customers, surprising it is the opposite of the prior expectation. Co-efficient of determination R2 = 22.5% R-sq is 22.5% means almost 22.5% of the observed variability in the dependent variables is explained by the independent variables of our regression model. So, this regression equation has a very low explanatory power. However, in cross sectional data R-sq is usually very low. Importantly, A problem of using R2 as an overall measure of the quality of a fitted equation is that when we add more and more variables in a model, even if these variables are irrelevant to the model, it raises the value of R2. So, R2 is not a good indication of the model’s overall quality. Rather the adjusted coefficient of determination should be used for measuring the overall performances of the model. Adjusted R2 = 16.8% R-sq (adj) is the adjusted or corrected co-efficient of determination. R2 (adj) is 16.8% means almost 16.8% of the observed variability in the dependent variables is explained by the independent variables of our regression model. I reject the null hypothesis that all coefficients are zero against the alternative hypothesis at 5% level of significance. The p-value or the smallest significance level at which the null hypothesis can be rejected is 0.031. So, the entire variable as a whole can predict the dependable variable (CSI) and the combined effect of these two variables do improve the model that predicts CSI. Now, the hypothesis testing for each of the coefficients is done to analyze if individually they have any influence on the dependent variable keeping the other variable constant. Hypothesis Testing For b2: Null Hypothesis Ho: b2 ≤ 0 Alternative Hypothesis H1: b2 > 0 Decision Rule: We reject the null hypothesis if, t cal> t tab t cal = (b2-b2) / Sb2 = -.65 t tab= t n –k-1, α = t 30 -3, .0.5 = t 27, .0.5 = 1.701 Here t cal is less than t tab. Therefore I fail to reject the null hypothesis against the alternative hypothesis at 5% level of significance. However, the p-value or the smallest significance level at which the null hypothesis can be rejected is 0.52. This indicates that the customer’s employment status is not a statistically significant variable for predicting customer’s satisfaction about the service. confidence interval: Another way of determining whether a specific independent variable is important in the multiple regression models is to find the confidence interval. The 95% confidence intervals for b0, b1, b2, is estimated in the following. 95% confidence interval for b0: The 95% confidence interval for Y-intercept (b0) ranges from 274.60 to 386.82. Here the 95% confidence interval for b0 does not include 0, and thus I reject the two-tail hypothesis that the intercept coefficient is 0. Based on this confidence interval, it can be conclude that the intercept a statistically significant predictor in the multiple regression model. 95% confidence interval for b1: The coefficient for the CII has a 95% confidence interval 0.06< b1 <0.41. Here the 95% confidence interval for b1 does not include 0, and thus I reject the two-tail hypothesis that this coefficient is 0. Based on this confidence interval, it can be conclude that X1 (CII) is a statistically significant predictor variable in the multiple regression model. 95% confidence interval for b2: The coefficient dummy variable has a 95% confidence interval -48.03< b2 <25.02. As the confidence interval includes 0, and thus I cannot reject the two-tail hypothesis that the intercept is 0. Based on this confidence interval, it can be conclude that the dummy variable (customers employment status) is not a statistically significant predictor variable in the multiple regression model. analysis of residual: The normality plot indicates an approximate linear relationship, thus it is impossible to reject the assumption of normally distributed residuals. The next residual analysis examines the relationship between the residual and the dependent variable (both the observed and predicted value). But, this plot does not provide any clear relationship or any useful information. However, There is no relationship between the residuals and the predicted value, thus the model errors is stable over the range. Problems with the model: Before moving to the findings of this regression analysis it is highly recommended to the reader to the aware about some the problems/limitation of this analysis. Specification Bias: Other than the two independent variables included in this model, their may some other variables that are important predictors of CSI (costumer satisfaction Index) which has been omitted. Omitting them from this model causes Speciation bias may be the reason for the poor explaining power of this model. Measurement Error: The calculation of CSI and CII from a qualitative measure to a quantitative measure is somewhat controversial, as the dimensions of each variable are chosen arbitrarily and the weights to each variable is also given arbitrarily. Moreover, there may be some other omitted dimensions that are useful to measure both CSI and CII. Another important limitation is that both the CSI and CII has been measure in a way that they can take the maximum value 500 and the minimum 0. This also limits the acceptance of this analysis to some extent. FINDINGS: Hypothesis test of the coefficients of this model indicates that the independent variable CII is significant; where as another independent variable the employment status of employees is not statistically significant. The confidence interval analysis also supports the above findings. Therefore, the findings indicate that the level of customer satisfaction about the services provided by HSBC is positively related with the level of knowledge about its service package by its customers. The hypothesis of this regression analysis that “The customers who are more informed about the services tend to be more satisfied than those who are less informed.” proved by the above findings. However, another hypothesis that the employed customers (who are working in any organization) are more satisfied than the unemployed customers (students, housewife etc.) cannot be proved by our findings. Apart from all the outputs’ interpretation to put it shortly, I found numerous relationships between the variables I chose in my questionnaire. I do not want to repeat the findings again and hence conclude my paper as such that it has been a pleasure to have done this report under the supervision of Mr. M. Sayeed Alam. Even after all the obstacles and limitations, I am successful in carrying out the regression analysis. There is a lot I have learned from this report which otherwise would have been left unlearned. I truly thank the Faculty Advisor of my Internship, Mr. M. Sayeed Alam, Branch Manager,HSBC, Motijheel Branch, Mr. Md. Saidul Amin, Customer Services Manager Cristopher Raju Gomes and Shaikh Alam, Rifat Akhter, Richard Rudolf Gomes, Saiful Bari Customer Service Department, HSBC, Motijhee Branchl, to have helped me out of their way. The completion of this report would not have been possible if not for them.